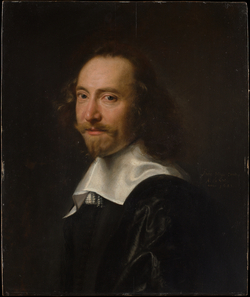 This entry was posted in Art and Painting and tagged Abraham de Vries, art, art museums, artist models, artists, collars, Dutch paintings, Met Museum, Met Museum portraits, Metropolitan Museum, museums, oil painting, painting, painting portraits, paintings, portrait artists, portraits, Rembrandt, Renaissance, Rijksmuseum, ruched, ruff collars, ruffs, The Metropolitan Museum of Art, The Renaissance. Bookmark the permalink. I like these old artworks, they just have a different feel to them compared to modern types. I guess they are a lttle more subdued? Interesting thought! I think there are many reasons for their appearing to be “subdued.” Life was very different in the 1600’s. I think people had more serious thoughts about religion and propriety than we do today – maybe even more fear when it came to religion. When I was growing up as a Lutheran, religious teachings could be a little scary! But the portraits themselves are traditional fine art, which I generally like the best. You didn’t see double noses and 3 eyeballs on these paintings! P.S. Nice to “meet you,” Michelle.